Interested and qualified candidate can download the website from tnteu.ac.in in prescribed form and send your application on or before 27-09-2018. The prescribed format with photocopy of all relevant documents should be submitted to the address specified below. 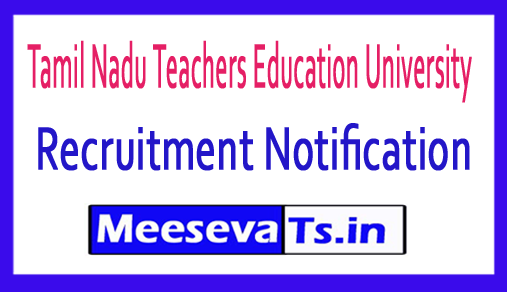 "Registrar i / c (by designation only), Tamil Nadu Teacher Education University, Chennai-600 097"
"Registrar I / C, Tamil Nadu Teachers Education University" payable in Chennai.